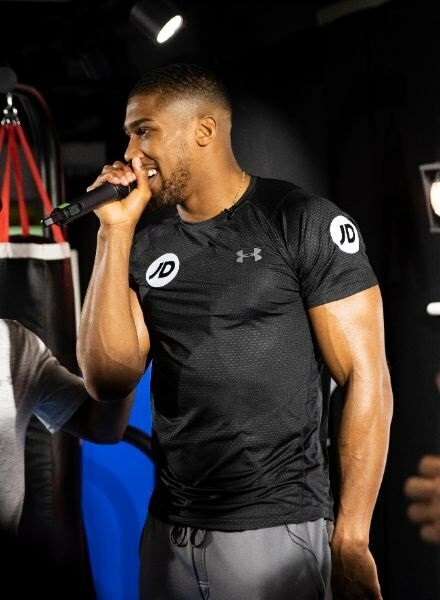 Fresh from unifying another belt in the heavyweight division, Anthony Joshua took time out to meet the fans at JD’s exclusive event held in London. 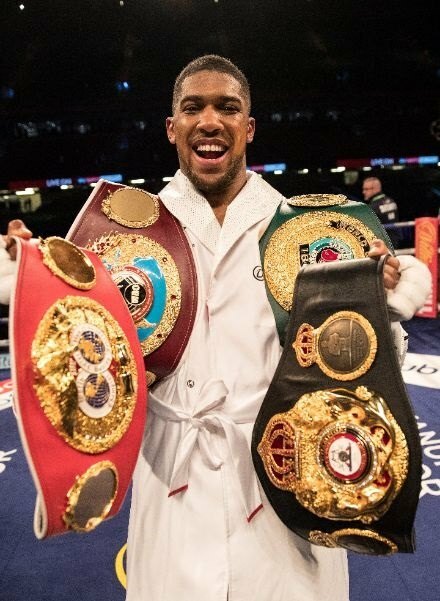 The unified heavyweight champion of the world recently added the WBO title to his collection, after defeating New Zealander Joseph Parker by unanimous decision; the only belt that eludes AJ from becoming the Undisputed heavyweight champion of the world is Deontay Wilder’s WBC belt. As the ‘Champ’ appeared at JD Sports’ store at Oxford Street, fans gathered to get a glimpse of the undefeated heavyweight, who brought the busy strip to a standstill. Forever gracious with his time and energy, the people’s champ, greeted fans and posed for images before heading into the store to open the event. Access to the event was exclusively available to JDX members, who had signed up to receive unlimited free delivery on all JD purchases, and get access to exclusive events for just £9.99. In store, AJ signed fans’ personal items and posed for pictures, as well as demonstrating his love for Hip Hop with a freestyle cameo, following a Q & A session hosted by Meridian Dan & Stevo The Madman. Acknowledging the outside noise, the ‘Champ’ gave the JDX members an insight to his mindset. “I’ve got my plan, I’m sticking to it, and I’m disciplined,” Joshua said. “I’ve had 21 fights. It’s entertainment, people want to see knockouts, so I deliver. Then after my 20th fight, (they say) we know you can fight, we know he can go through hell and back, but I can’t really call him a boxer. Someone who knows the art of the game. So you’ll fight but when you come up against a boxer you’re going to struggle. “So I listened. Nowadays, you can see a thousand positive things but it’s the two negatives that you are going to take out. But I don’t see it as a negative though, I use it as a positive. Because they want me to better myself. Following the Q & A, AJ took the hosts Meridian Dan & Stevo The Madman through their paces with some pad work and boxing challenges, before the hosts sparred in a rap battle for the fans. The hosts then challenged the Champ to spit a few bars himself. Forever the entertainer and showman, the unified heavyweight champion then stepped in, to pick up the mic and drop his own cameo freestyle. Having walked out to Eric B & Rakim’s ‘Paid in Full’ against Parker, the Champ’s passion for HipHop was on full display, as he demonstrated that he’s got the verbal sparring, when needed, to drop his opposition.